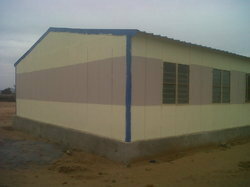 Leading Manufacturer of frp cabin, storage building, construction shelters, portable shelters and prefabricated timber houses from Jaipur. 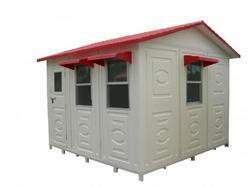 We are instrumental in offering excellent quality and sophisticated designed FRP Cabin in numerous specifications. The offered range is precisely fabricated as per the customer specified information by using modular technology and best grade raw material. These guard cabins are highly acknowledged for their robust structure, longer functional life, optimum ventilation and ability to provide optimum protection from extreme weather conditions. 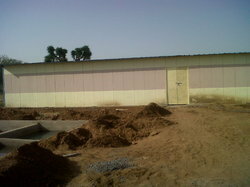 We are a leading Manufacturer of Storage Building. 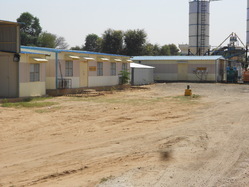 Our expertise lies in providing the customers with Construction Shelters which are precisely fabricated by using the latest technology and optimum grade raw material. Designed in compliance with the strict industrial guidelines, our product provides optimum protection from water and lightening. The offered shelters are available in numerous sizes and specifications which can be further customized as per the particular demands of the customers. Our expertise lies in providing the customers with Portable Shelters which are precisely fabricated by using the latest technology and optimum grade raw material. Designed in compliance with the strict industrial guidelines, our product provides optimum protection from water and lightening. The offered shelters are available in numerous sizes and specifications which can be further customized as per the particular demands of the customers. 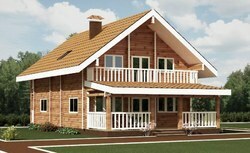 We are offering a wide range of Prefabricated Timber Houses to our clients.